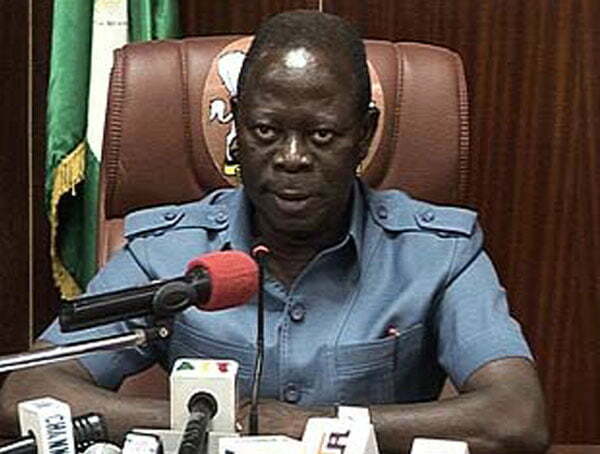 Edo State Governor, Adams Oshiomhole, on Wednesday, reiterated his earlier call on the police to unmask the killers of his Principal Private Secretary, Olaitan Oyerinde. He stated this while receiving the new state Commissioner of Police, Mr. Foluso Adebanjo, in Benin. what is the hope of a tomato seller? What is the hope of a roadside mechanic, what is the hope of an okada rider? The governor said the police as law enforcement officers must recognise that they have a duty to protect the citizens.